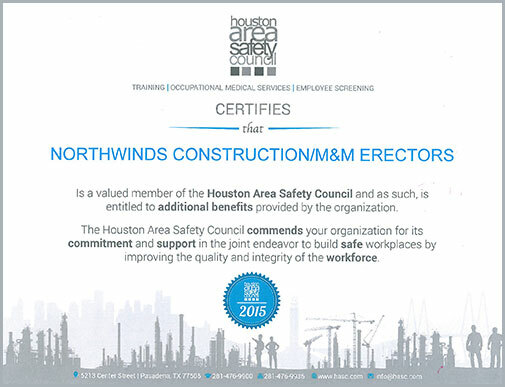 With more than 30 years of experience in Texas, Northwinds Construction is a leader in the commercial and industrial building market. We focus on providing superior service and high-quality American-madeproducts for large and small jobs. Northwinds Construction is a turnkey general construction company that specializes in design and construction of build-to-suit and development projects. We also offer interior remodeling services,building additions, plan/spec construction, demolition, and sitework. We do not measure our success by the bottom line. We measure it in customer satisfaction and quality of service, placing honesty and integrity above prosperity. At Northwinds Construction, we recognize that our most important asset is our reputation. We owe our company's growth to customer referrals - and that says a lot about the work we do. If you would like to know what our customers have to say about their experience with Northwinds Construction, please view our references page.